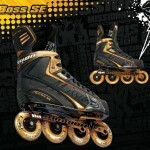 Along with Bauer, the Mission Roller Hockey 2010 Catalog has found its way to the internet. 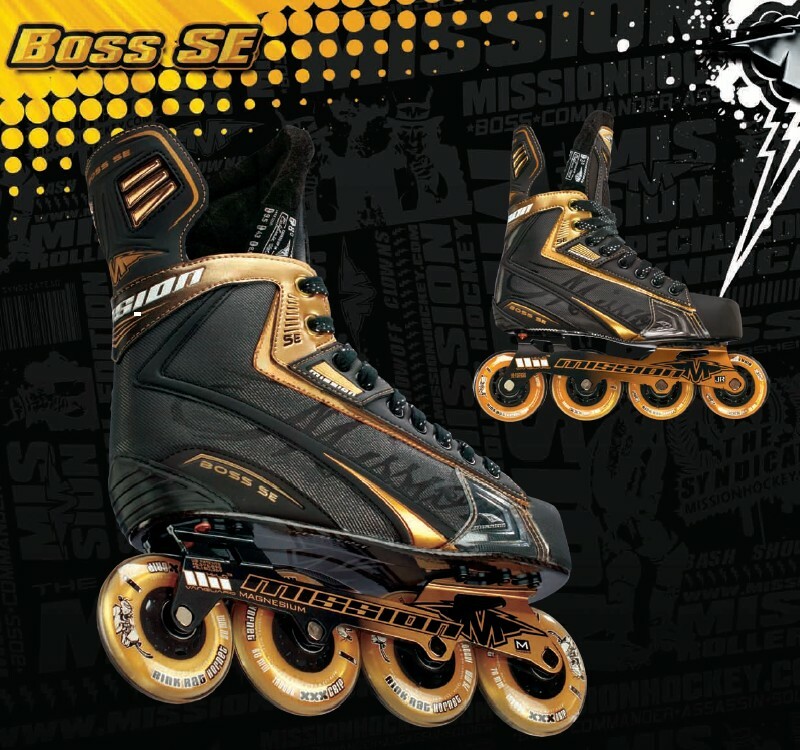 Although the high end Mission Boss SE skates are a bit bold with their gold accents and wheels, they are quite a bit more tame than the white original Boss and Boss Black skates . 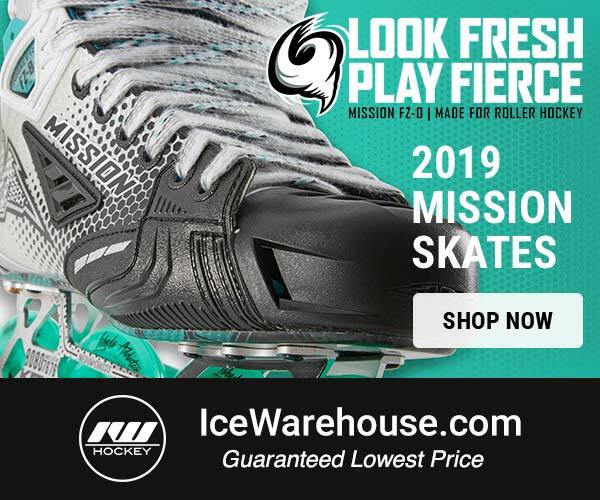 While the 2010 skate line from Mission offers many of the same features as the Bauer counterparts, the Bauer line is far more aesthecially pleasing. 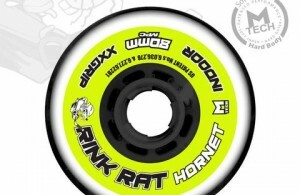 However, if you are a roller hockey player looking to add some flash and attention to your look on the rink, this line up might be for you. 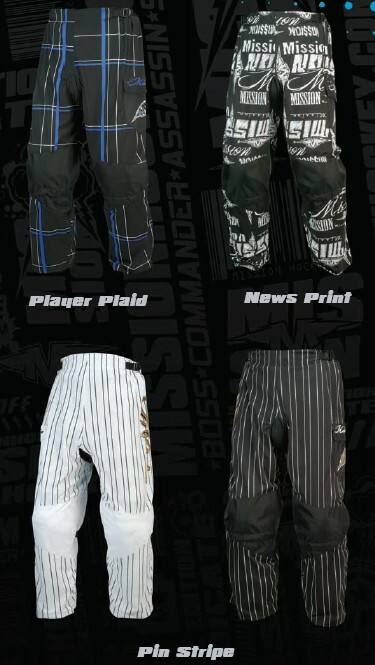 If flash and style are part of your roller hockey game, be sure to add a pair of the Mission Commander SE pants to your bag as well. You can go for the red or blue plaid pattern, a white or black news print pattern, or add some class to your style and go for the white or black pinstripe pants. If you’re into more of a classic look on the rink, look out for the Soldier SE pants. They are simple, straight to the point, but look good. 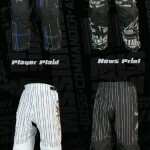 The Mission Roller Hockey 2010 Catalog is online, so go scope out the new gear. Along with the new skates and pants, you can see their new line of gloves, goalie equipment, and protective gear. 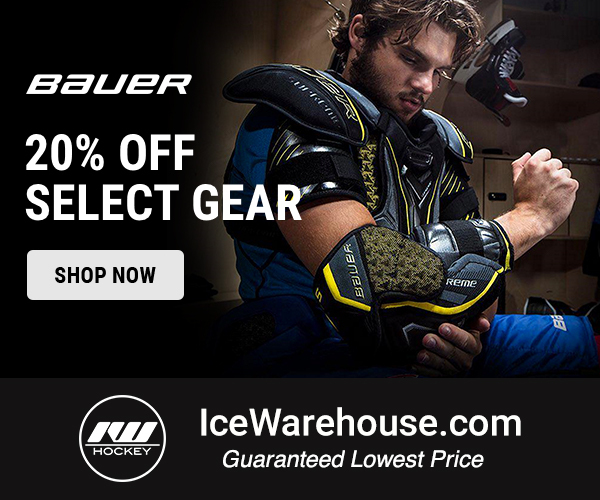 Your link to this and the new bauer catalog dont work at all it says the page cannot be found. Thanks Billy, both links have been updated!